ZeeVee has been named an official InfoComm International Renewal Unit (RU) Provider. This will allow the more than 9,000 professionals holding InfoComm International’s Certified Technology Specialist credentials to earn renewal units toward their certification by completing certain ZeeVee education programs. To obtain approval, RU programs must feature experienced instructors with clear evidence of qualifications in the session topic. Each class must contain at least one relevant learning objective or industry-related purpose, relate to a specific exam topic area and exam level, and conclude with an assessment tool to demonstrate participants have grasped the objectives. These criteria are vigorously reviewed by InfoComm University’s Certification Renewal Unit Committee. With the certification, ZeeVee’s ZyPer AV-over-IP training can now be completed for 2.5 RUs. Designed to help educate system integrators and AV installers on the new technologies available to enable IP-based media distribution solutions, the course covers the basics of IP as an introductory phase, addressing topics such as the 7-Layer OSI reference model, IP addressing, and switching technologies. The course then provides hands-on training with the ZyPer4K system. Attendees physically interact with the equipment to install, configure, and deploy a fully functional IP video distribution system. 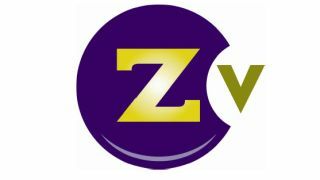 The ZyPer AV-over-IP training courses are held monthly at the ZeeVee office in the U.K. at Missenden Abbey, Bucks, and will soon be rolled out in the U.S. in late Q1, 2017. All training courses are designed around active participant interaction and tactile, hands-on learning. ZeeVee also holds training sessions for SD and HD Digital Video Distribution Using RF Modulation, allowing attendees to earn InfoComm Renewal Units. This course teaches how to design and install a multichannel RF distributed video system over coax cable.